← Donna “thehotflash” Kay Roller Derby star: the middle age rap. this is my most widely read and requested post….not much about Derby, but an are most don’t come in contact with….please read comments and video as they really add to it…..god, promotion is fun. 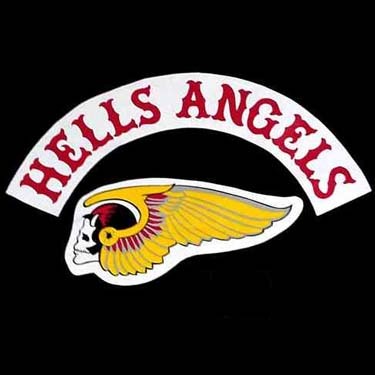 It was impossible to live in the Bay Area in the 70’s and 80’s and not be aware of the Hells Angels. A number of them were fans and showed up at the Roller Derby games and never caused any problems. Once when Charlie O’Connell promoted on our telecasts that he now had a bar in the East Bay Area a bunch of Angels showed up at his bar to drink and show support. Charlie told them he really appreciated it, but it would scare away his neighborhood customers. They understood, rode away and suddenly came back; “Charlie, would you like us to wreck the other bars around here?” Charlie thanked them and said no.